Deep in the Haunted Woods is a Deserted Fairground full of games, including a carnival. Unfortunately, this carnival has been overrun by evil robot Chia clowns sent by Dr. Sloth to scare away visitors. Your goal is to destroy the invading clowns before they destroy the carnival! 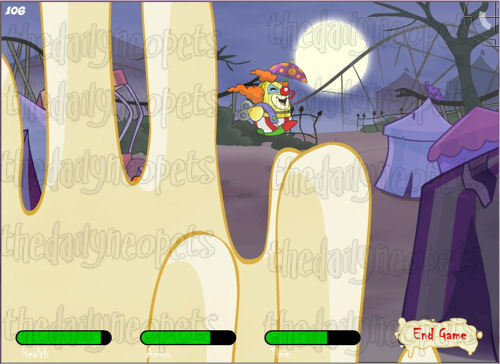 In this game, you must destroy the clowns while protecting yourself from projectile pies and exploding clowns. You use your mouse to aim and shoot at clowns to kill them and at pies to explode them before they hit you. There are three items to help you through the game that fall randomly from the sky by parachute. You collect the items by shooting them. The parachute vanishes if you successfully hit it. While difficult to hit, these items are necessary for a high score. Ammo falls as a crate. Ammo decreases every time you shoot. Health is identifiable by the green cross. When you are hit by exploding clowns or pies, your health decreases. Time looks like a red and white clock. If you run out of any of these three stats, you lose. 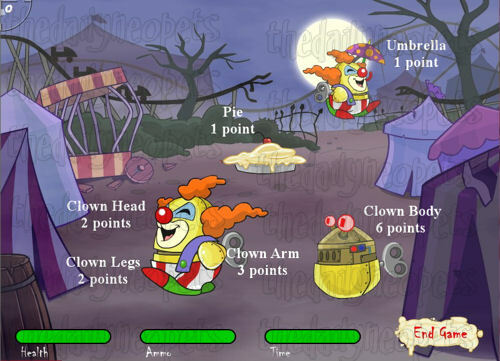 You earn points by killing clowns and exploding the pies before they hit you. Clowns can either run across your screen or float in on an umbrella. Each part of a clown is worth a set number of points and disappears after you shoot it. The clown body is worth the most points. It is possible to shoot a clown only in the body, but doing that is difficult. If you shoot a clown's arms and legs off and do not kill the clown fast enough, the clown will "overload" and explode, decreasing your health. 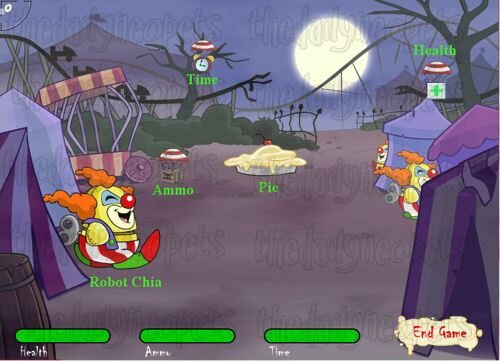 To get the maximum amount of points from each clown, shoot the head, arm and legs before killing the clown by shooting the body. This will give you 13 points from one clown. 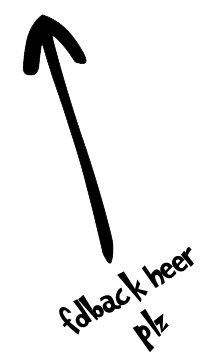 If the clown is floating down on an umbrella, shoot the umbrella first, then the parts of the clown previously listed. An umbrella clown will give you 14 points. You can almost always use more time and ammo, but not always health. Do not waste time shooting down parachutes you do not need. Shoot any pies coming towards you. In addition to reducing your health, pies will cover your screen for a short time, making it impossible to see any clowns or other pies coming at you. It is rumored that if you go into the Instructions before starting the game and click on the clock, it will increase the frequency of ammo, health, and time parachutes in a game. This must be done every time a game is played to receive the bonus. This is nearly impossible to prove or disprove, so we cannot attest to its validity. 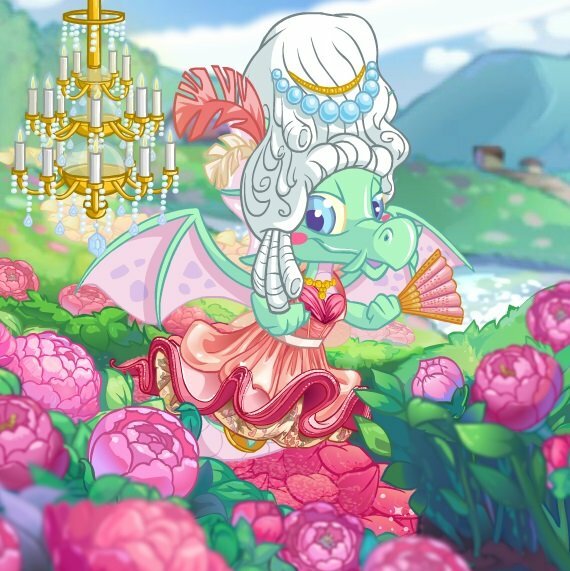 If you are running low on health, type custard once per game to receive a health boost. If you need more ammo, type pie crust once per game to increase your ammo. These cheats will help immensely in getting to the avatar score of at least 725 points. As with many games, practice makes perfect. Shooting at clowns and pies can be extremely fun and a good stress reliever, and you can earn an avatar if you score high enough. Good luck, and have fun shooting those evil clowns sent by Dr. Sloth! It's up to you to save the carnival.